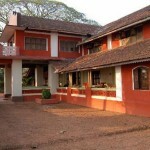 Dharmadam Island– It is located about 4 km from Thalassery and is 2 hectare privately owned land. It is covered with coconut palms and green bushes. Permission is required ti walk on the Island as it is privately owned. Muzhappilangad Drive-in Beach– Muzhappilangad beach is one of the popular beaches of Kerala and the only Drive-in Beaches in Asia and the most popular beach in the Malabar region. Beach is located about 7 km from Thalassery. The beach stretches for around 5 km and allows tourist to drive their own vehicle which makes it a hotspot place for tourist. English Church– English Church also known as St. John’s Anglican Church is one of the famous tourist attraction of Thalassery. It is located close to the Thalassery Fort. The church have magnificent glasswork manufactured from London. Overbury’s Folly– Overbury’s Folly a recreational park is located at the hill close to Thalassery Courtand Municipal Stadium. It is an unfinished construction hence called as architectural folly. E N Overbury a a Briton who was a local judge in Thalaserrry at that time started constructing a picnic spot here but could not complete it . 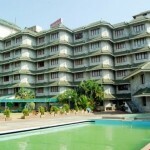 It offers remarkable view of Arabian Sea. Thalassery Fort– Thalassery Fort is located in center of the town which was built by British East India in 1708. It consist of huge wall , secret tunnels and carved huge doors. Now it is a historical place that attracts lots of tourist. Wellesley’s Bungalow– Wllesley’s Buglow a gorgeous colonial manor is located in the breathtaking and serene enviroment. It is a famous tourist spot in Thalassery. Lord Wellesley was the one who introduced cricket in this region for the first time. It is located near Thallssery Fort. Catholic Rosary Church-Catholic Rosary Church has a unique architectural style and was established in the early 16th century, is amongst the ancient churches in Kerala. Fisherfolk temple– The temple is located along coastline stretch of Kannur and Thalassery. It is an excellent spot of sightseeing. There is a famous cricket stadium also nearby the temple where cricket was first played in India. Government House– Government House is located in Mahe was built by French administrator in 1855. The main attraction of this historical place is an ancient light house and a flag post.